I was recently invited to give a talk at a Modev DC event held at the Capital One building. The slides are embedded below. They are mostly based on my previous blog post on using React Native in an existing Android application which you can read here. I spent this entire week in the west coast attending North America GDG Managers’ Summit and the I/O events. I am still processing some of the conversations from the Managers’ summit and how to use them to improve GDG Philadelphia that I help run so I’ll leave that to a future blog post so this post is restricted to the I/O event only. Google’s internal things to pepper their products with features only possible using AI is clearly bearing fruit. From just pure utility features like enhanced copy and paste on Android to flagship features like Google Lens that allows object recognition in photos and videos on Google Photo and Assistant. I am particularly excited by the TensorflowLite project and programming for AI is something I am going to learn this year. People seem to love coming up with new terminology in this space. Google buckets the VR/AR technologies into “Immersive Computing”. They are doing some really interesting things in this space and I am glad to see them continue to push the state of art here. I was particularly impressed by Project Seurat that uses algorithms to allow developers to use simpler geometry to mimic complex, even movie quality, 3D models. On the Tango / Augmented Reality side, Google Visual Positioning System truly impresses as well. In fact in one conversation, a Googler mentioned that the Google Maps team was heavily involved in the VPS development. There were also some great demos of AR capture and reconstruction using the upcoming Asus Zenphone AR. Big question is when does a Google Pixel get a depth sensor and Tango support? Google continues to push Firebase as an essential part of Android development. Google cloud services have been catching up to AWS’ for a while and Firebase seems to be a great option to AWS Mobile. AWS’ tools are not friendly to a mobile developer and the Firebase tools do seem much more approachable. The addition of services like Performance Monitoring makes Firebase even more essential a part of the Android developers’ toolkit. I haven’t pushed anything to the Google Play Store since Picscribe in 2013. The publisher tools back then were functional and did a decent job I thought, but the latest updates to the publisher experience are fantastic. More tools to run A/B tests, greater visibility on top reasons for crashes, pre-release testing etc will allow developers to really optimize their apps just from the store. I am mostly ambivalent about Kotlin (😱). I had no particular issues with using Java for Android development, except maybe an occasional gripe about not being able to pass functions around. I am happy for Kotlin’s less verbose syntax but dread what happened with Swift’s introduction to the iOS ecosystem where the focus seemed to change from cool apps to various academic discussions (if I hear about monads one more time…). Also the rapid evolution of the language meant that code examples and Stack Overflow answers stopped working in a few months. Lets hope this is less of an issue on the Android side. And of course a new developer moving to Android now needs to know not only Java but Kotlin as well since the codebase will be a mix of the two. With so much functionality exposed as services from either Google or Amazon, developers can really power their apps with very little backend code development. That said, this leads to the rise in the need for some kind of glue layer that connects all these components together. Firebase’ Cloud Functions and Amazon’s Lambdas serve this need. The workflow for Amazon Lambdas is still slightly awkward, but Firebase’s workflow feels a lot better. There were a lot for cool technologies for show at I/O and it was awesome. The other amazing part was just meeting old friends from across the world and even making some new ones. They say don’t bury the lede but I just gave it away in the title ;). Phildelphia Business Journal comes up with a list of 10 Tech Disruptors every year who are “blazing new trails and inspiring others in the technology community”. I am one of the 10 for this year, and in extremely smart company of local CEOs, CTOs and Founders. Over the last few years I have found myself defending QR codes in different conversations. While huge in the rest of the world, QR codes were never embraced in the west. Aesthetics was one that I had heard multiple times (“They are so ugly”) but they solved a real problem: bridging the offline world with the online one. But QR codes have snuck up in our society in the last few years. Some of these aren’t normal QR codes and maybe deserve their own label (scan codes?) but the idea remains the same: a graphic that codifies text that a scanner (camera) can read from a distance. Snapchat popularized the idea with their Snapcodes that let users add other Snapchat users as friends. 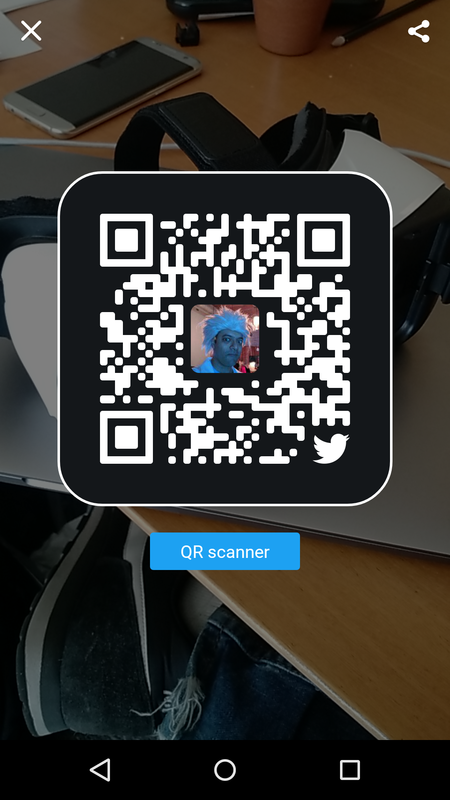 Twitter, Kik, Facebook Messenger and Google Allo followed and now scanning a code to initiate a connection is starting to become normal. Airline and train tickets are using QR codes for their mobile boarding passes. 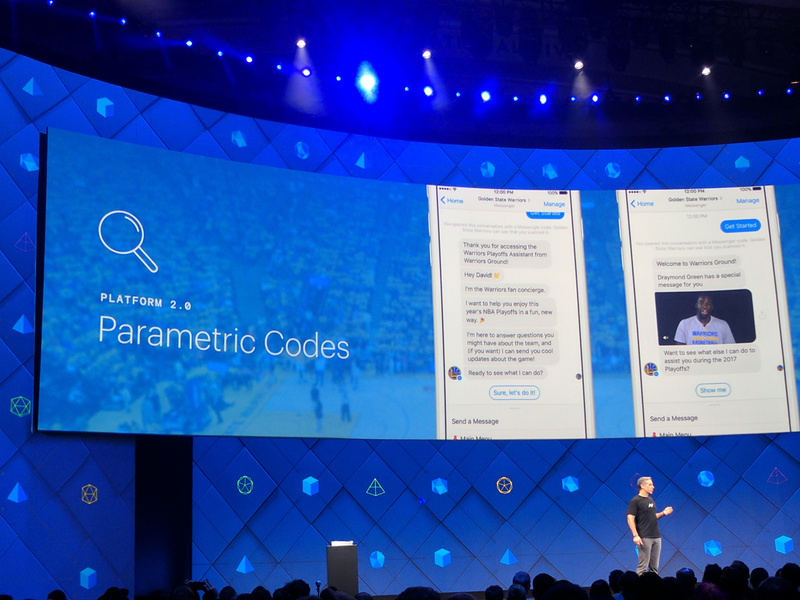 Today, at F8, Facebook’s big developer event, they announced that Messenger will now support their scan-code, what they call Parametric Codes, which you’ll be able to use to do all sorts of things from friending to payments (offline payments via scan-codes is a big deal in China, where Messenger is taking a lot of its feature development cues from). As happy as I am to see the return of these codes, the proprietary nature of each of them is a little bit of a bummer, but hopefully they will make the idea of scanning a code to connect with the real world more mainstream. WeChat’s elevation of the QR code as a link from the offline became the lynchpin for China’s online-to-offline boom in 2015. Previously, to engage with a service or brand, a user would have to search or enter a website address. WeChat’s Pony Ma says of QR codes, “it is a label of abundant online information attached to the offline world”. This logic explains why WeChat chose to promote QR codes in the first place. QR codes never took off in the U.S. for three key reasons: (1) the #1 phone and the #1 social app didn’t allow you to scan QR codes. (2) Because of this, people had to download dedicated scanner apps, and then the QR code would take them to a mobile website, which is arguably more cumbersome than simply typing in the URL or searching for the brand on social media. (3) Early use cases focused on low-value, marketing related content and at times was merely spam. So, even though QR codes would’ve been U.S. marketers’ dream, it was a few steps too far to be useful. Since the site needed both a user facing portal and an admin portal, we started building both of those in parallel but as separate projects. The goal was to keep the admin portal independent of the actual site itself. The pages on the site are also more or less completely defined in JSON schemas so it could be reused in the future if we ever wanted to use it for a different project or release it as an open source project. The Create-React-App library from Facebook was really useful for a pretty painless start to the projects. The [CORS] specification mandates that browsers "preflight"
sending the actual request with the actual HTTP request method.